A stand-out pizzeria with a unique and old-world approach to its crust has opened in far north Plano. Called Dough Society Pizza, it's a new startup that opened its first location in early 2018 at 8103 Rasor Blvd., just below SH-121, where it's doing pizza to go, for delivery, or dine-in. Owners Steve and Jeanne Robinson are transplants from Maryland who are really into good pizza. 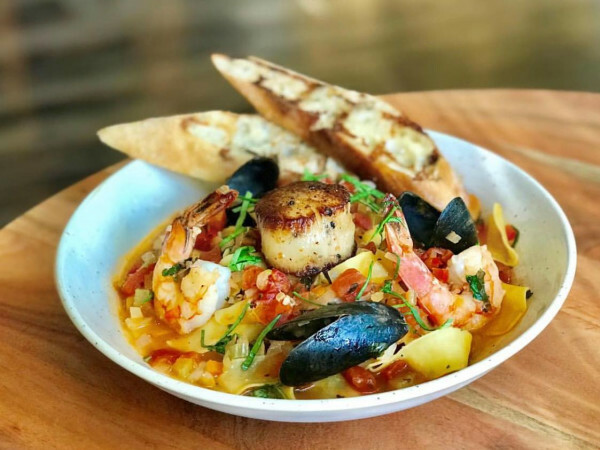 They have a culinary director, James Sanchez, overseeing an operation in which the dough, toppings, and everything else, are made from scratch. One thing that sets them apart is their dough recipe. They use red wheat flour and — here's the unique part — always incorporate a pinch of dough from the day before. "This is a traditional Italian technique that adds flavor and complexity to our pizza," Sanchez says. Their crust is thin enough for the thin-crust fans but not a cracker crust; it's hot and crispy on the bottom, pillowy soft on top. 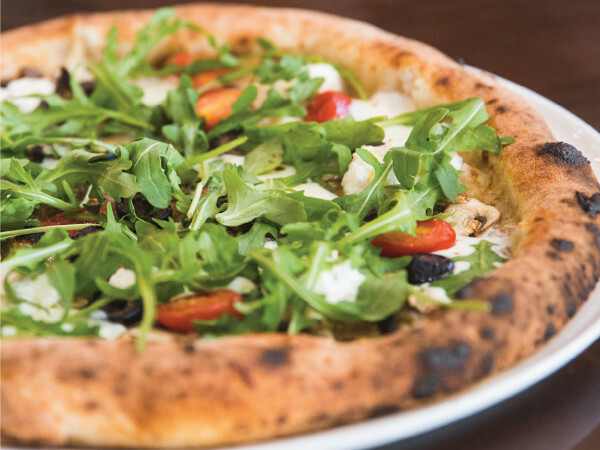 Their menu includes both basic pizzas such as pepperoni and Margherita, as well as unique and upscale signatures such as "pig & fig" with prosciutto, arugula, goat cheese, and fig jam. There's a BBQ bacon cheeseburger pizza, and also gluten-free pizza made with a rice-flour crust. 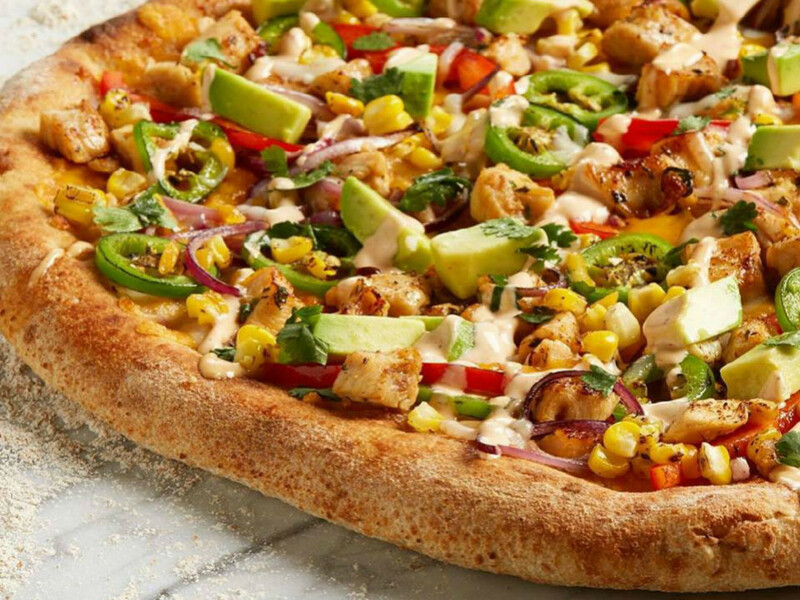 In addition to pizzas, they have a 15-layer lasagna made in-house, and half a dozen salads including Cobb, Italian salad with spicy salami, and a Southwest salad with Romaine lettuce, roasted corn, jalapeno bacon, tomatoes, avocado, red pepper, and cheddar cheese in a chipotle-ranch dressing. There is also a house-made spinach-artichoke dip with cracker bread; garlic cheese bread; and jumbo wings with choice from 10 dipping sauces such as Korean BBQ and a "rose" - a combination of alfredo and marinara sauce. They also serve beer and wine. They get their prosciutto and other meats from Zoe's Meats in California, because it has no nitrates or preservatives. "The simplicity we observe is actually complicated," Sanchez says. "Our dough is a sourdough style, and incorporating a pinch from the previous batch gives it that yeasty flavor. We brine our chicken overnight, then roast it the next day, and we roast all of our veggies, from jalapeno to corn to mushroom." Their oven is a Woodstone XLT, a combination wood-fired and gas model, which helps establish consistency but allows them to still cook pizzas over an open flame. Aside from the pizza, Dough Society boasts what has to be the nicest staff around, from the chef to the manager to the dispatch guy taking your pizza order — such an increasingly rare luxury. Plano is their first location but they're looking in the Preston and Alpha Road area for a second location. Delivery is a big part of their operation, with a plan to open hub locations with sit-down seating like the Plano original, surrounded by satellite locations that would do delivery only. For now, they're just perfecting their pizza, one pie at a time.